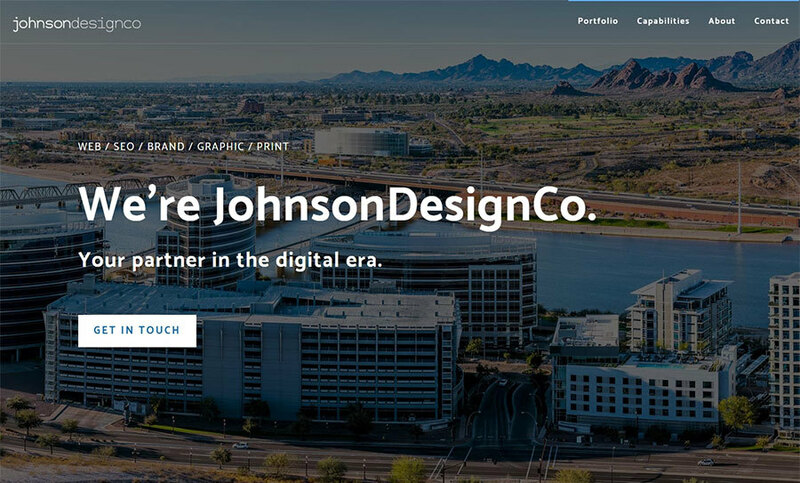 JohnsonDesignCo is an innovative agency that helps companies stand out and reach more customers through disruptive design. We are different. We believe anything can be improved. We believe quality craftsmanship matters. We believe truly good design achieves a result. We believe clear communication is important. We believe the end user should influence design. This is a screenshot of the homepage of our website.